This information only applies to state Primary and General election dates. Local county and municipal elections not held on the same dates as state Primary and General elections must follow the Working With SOE Absentee Data guide. It is always good practice to check your data by cross-checking record counts reported by the SOE websites to verify. During the Query/Targeting process, you will see a VBM filter option at the top of the page (so long as you requested access at the bottom of the Campaign Setup page and have been verified eligible to access VBM data). Choose the option with which you would like to proceed. 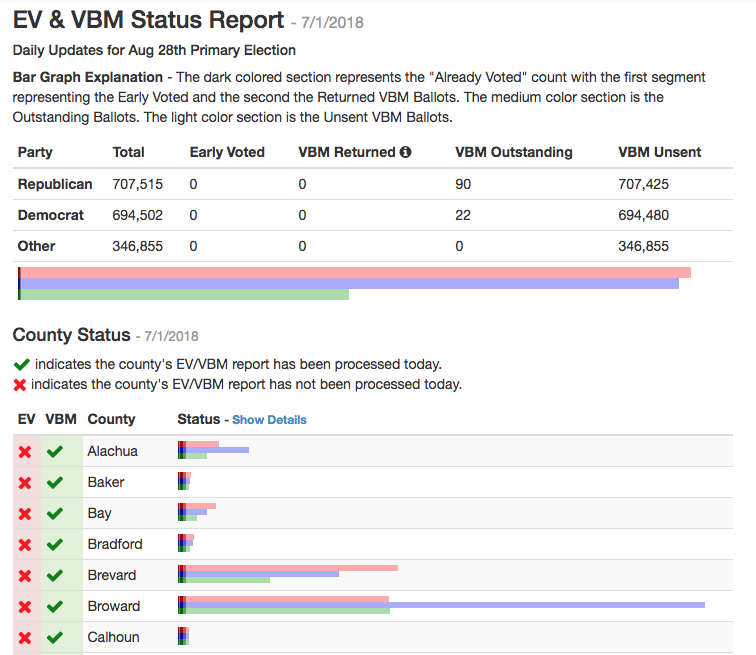 You should always check the "View County VBM Status" report prior to running your queries to make sure the county has been processed (see example of report at bottom of this page). Some counties post later in the day than others so this check will nsure your reports contain that day's data. 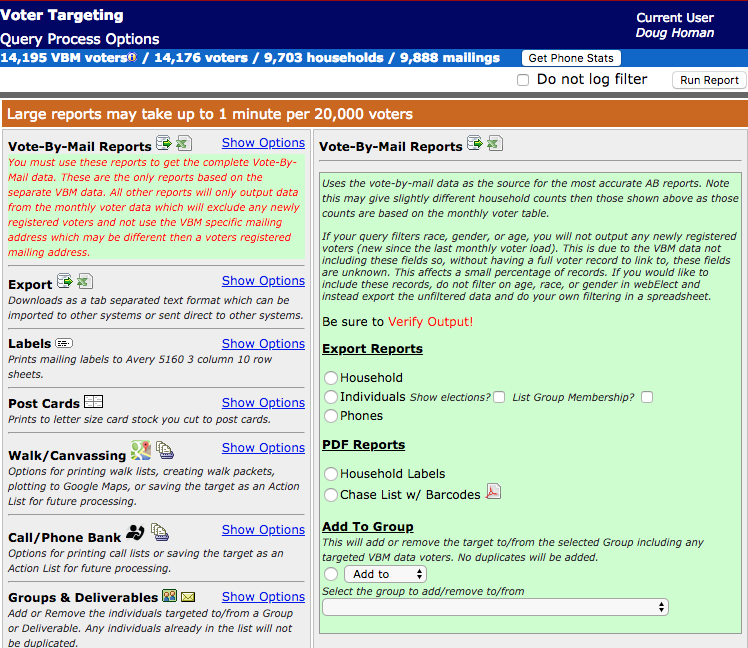 When you advance to the next page, if you have chosen to "Include" VBM voters you will see an additional number count for VBM voters. This will likely be a higher number then the regular voter count due to VBM data containing newly registered voters, plus voters that have moved into the district since the last regular monthly voter update. On the Process Options page you will see a new set of report options for VBM data highlighted in red text and a green background. 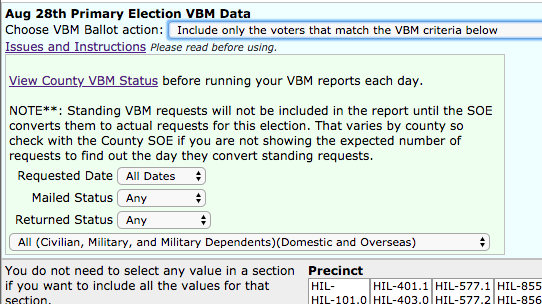 YOU MUST use one of these reports in order to output the special VBM data table that includes those newly registered and moved voters, and to get the specific VBM mailing address for the voter. The VBM address may be different then the voters registered mailing address used on all other reports from the standard monthly registration data. Please email any questions or issues to support@webelect.net and we will try to update this document as requested.